These pumpkin chocolate chip cookies are moist with all the flavors of fall! They’re sure to put a smile on your face this season! 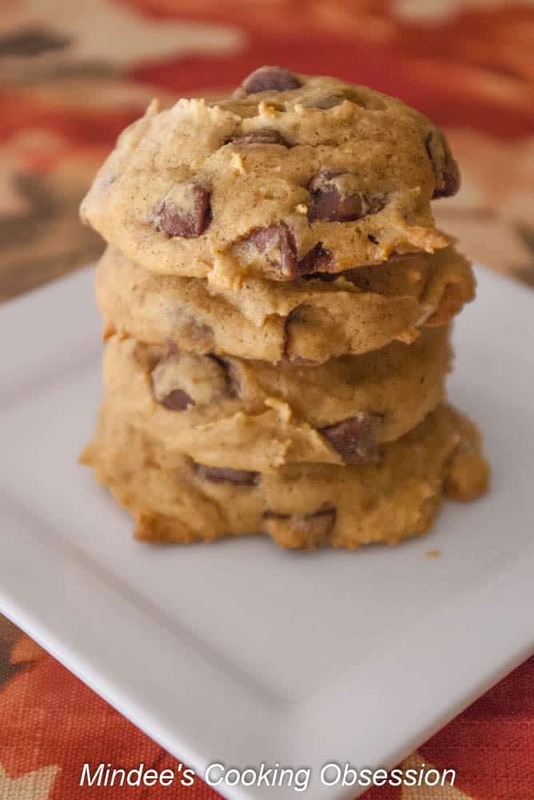 These pumpkin chocolate chip cookies are so yummy! I get my chocolate fix and since there is pumpkin in these I’m going to count it towards my veggies. These are definitely a family favorite. There were actually tears when it was discovered they were all eaten. 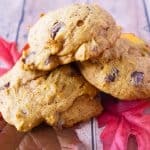 Pumpkin chocolate chip cookies are very moist and perfectly spiced so that the pumpkin and chocolate blend well together. 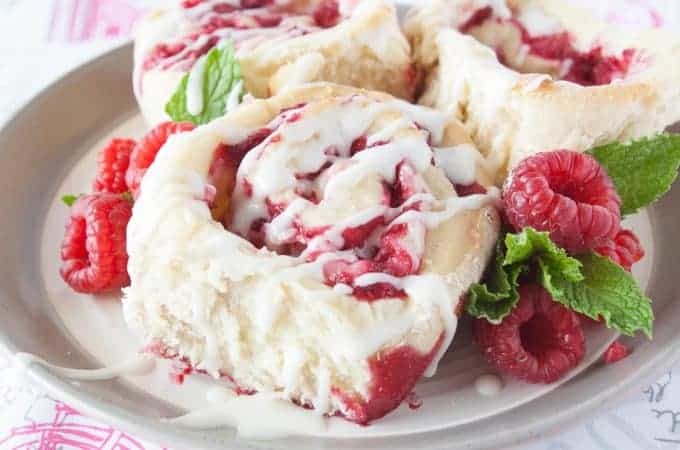 These are quick and easy to make and will disappear just as quickly. Pumpkin cookies are super easy. Preheat your oven and prepare the cookie sheets. I really like to use parchment paper for these cookies. Cream the butter and sugar. Beat in the vanilla and egg. 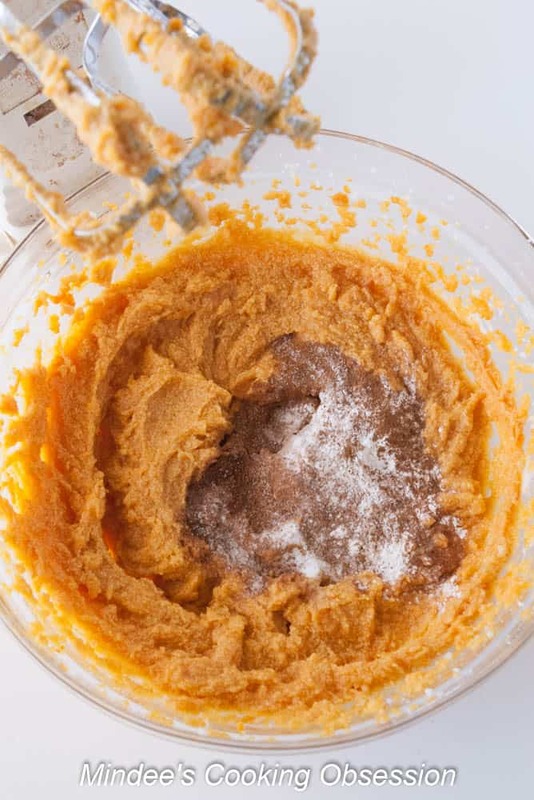 Beat in the pumpkin, baking powder, baking soda, ground cinnamon, nutmeg and cloves. Stir in the flour and chocolate chips. 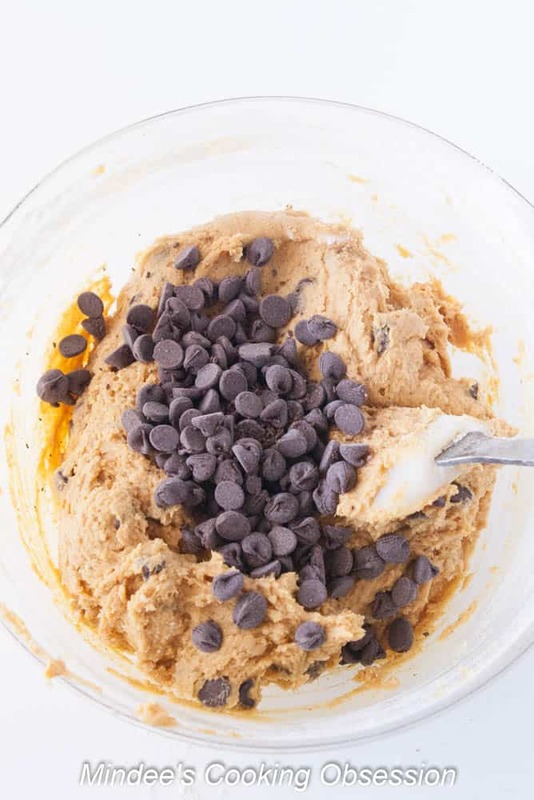 This cookie dough is stickier than your average cookie dough. Don’t worry, and don’t add more flour. You’ll end up with dry cookies if you do. Scoop out by tablespoonfuls onto the prepared cookie sheets and bake at 350 for 12-14 minutes. The cookies will appear dry at first but they moisten up upon cooling. Preheat oven to 350 degrees. Spray baking sheets with non-stick cooking spray or line them with parchment paper. 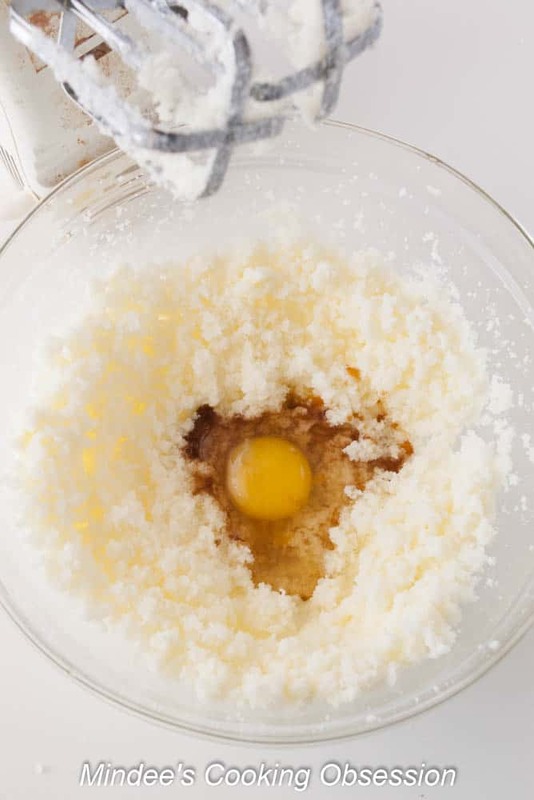 In a large bowl, cream the butter and sugar. 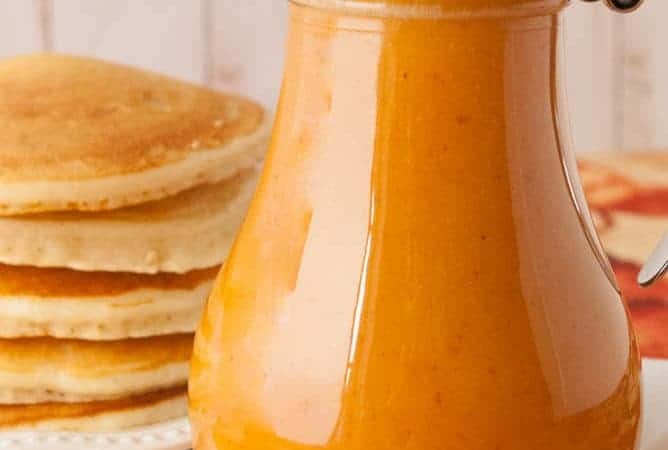 Add the egg, vanilla, and pumpkin. Mix well. Stir in the baking powder, baking soda, cinnamon, nutmeg and cloves. Mix well. Add the flour and then the chocolate chips. 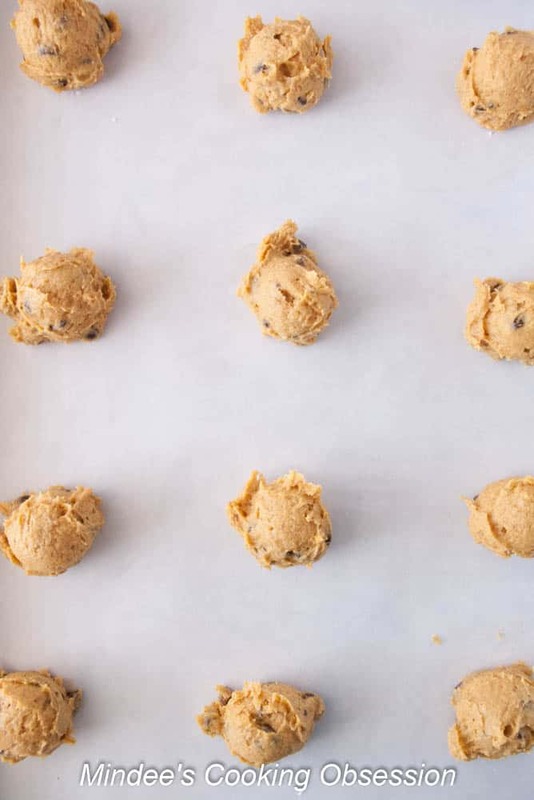 Scoop cookie dough out onto prepared baking sheets by tablespoonfuls. Bake at 350 degrees for 12-14 minutes. Cool on a cooling rack. Use butterscotch chips in these for a “to die for” flavor!!! I’ve never tried that, but it sounds good!